Ricardo came to me after his IELTS exam and explained that he suddenly understood the value of actually using new language before the exam. He told me that he had sometimes been “bored” during my classes when I made the students focus on a point of grammar and use it, even though he felt he already really understood it. Actually being in the IELTS interview brought home to him the value of practice and that the time to experiment is not during the actual exam. Basically, Ricardo had tried to use wish and realised that he wasn’t sure which form to use to say what he wanted to say. We had covered wish quite extensively in class and Ricardo admitted that he had “switched off” a little during practice. Ricardo is a good student but he sometimes is guilty of wanting to move on too quickly. He now understands the need to practice and use all new language. I am sure his mistake (if he really did make one) won’t affect his final IELTS grade too much. Here’s a refresher in wish for Ricardo. 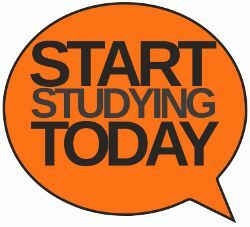 Other IELTS candidates might find it useful too. Sam wishes he lived closer to his mother. This wish expresses an unrealistic desire for the present to be different. Something might change in the future but we want now to be different. We accept that we can’t change what is true right now. Just becaus e the past is in this construction doesn’t mean it is about the past. This is an example of an unreal past tense in English. Notice that I is followed by were in the example. This might seem strange but it is correct. It is also possible to use was instead. The same rule applies to he, she and it. I wish I were better at arithmetic. I wish I was better at arithmetic. He wishes he were a faster runner. He wishes he was a faster runner. I wish I had studied harder at university. Jayne wishes she hadn’t eaten so many cakes. She feels sick now. I wish you would stop taking my pens. He wishes it would stop raining. In this wish, we want there to be a change, either now or in the future. We hope that the change might happen and it is a possibility. The change depends on an outside force and not on the actions of the person making the wish. We never use this form with I because you can make changes yourself. I wish I would study harder. You can make the decision to study harder if you want to. In many cases, wish used this way expresses irritation on the part of the speaker. I wish he would stop talking. He’s giving me a headache. I wish they had made me work harder in English at school. It seems as though it has been raining here in England for months. Actually, it has been raining for months. It’s supposed to be summer!! Grrrrrr! I could say any of the following sentences in relation to the rain. Can you see why they all mean something different but they are all correct? I wish it wasn’t raining. I wish it hadn’t started raining. If you have found this page useful, why not subscribe so that you don’t miss any future posts? Don’t miss the spelling test that is coming soon. Make sure that you know the difference between analyse and analysis. Analyse is a regular verb. It means to study something in great detail. We analysed his results and found that they contained errors. Analysis is a noun. It is the results of the verb to analyse. Our analyisof the results showed that they contained errors. Please remember that in American English, analyse is spelled with a z – analyze. Please please please read the following and try to use have to and don’t have to correctly. Have to and don’t have to are not opposites. They are related but they are not opposites. Many English language students make the mistake of thinking that, because mustn’t is the opposite of must, don’t have to is the opposite of have to. This is not the case!! You must speak English in the IELTS exam. In this sentence, must is an obligation to do something. You have no choice. It is a rule or law and cannot be broken. You mustn’t speak your own language in the IELTS exam. Mustn’t is an obligation not to do something. You have no choice. It is a rule or law and cannot be broken. Have to is very different. make sure that you read the following and can understand the difference. You have to speak English in the IELTS exam. Here the examiner is the rule maker. The examiner is the authority. Here the examiner is referring to the rule set by the examining body. In effect, the two sentences mean the same thing and would have the same desired effect. When we use don’t have to in a sentence, the meaning of have to changes. You don’t have to wear a suit in your IELTS exam. Don’t have to tell us that it is not necessary for you to do something but you can, of course, do it if you wish. It is permission not to do something. If you wear a suit, there will be no negative consequences. If you don’t wear a suit, there will also be no negative consequences. It is the opposite of can, a modal which gives permission to do something. 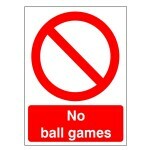 It is similar in meaning to don’t need to/needn’t. 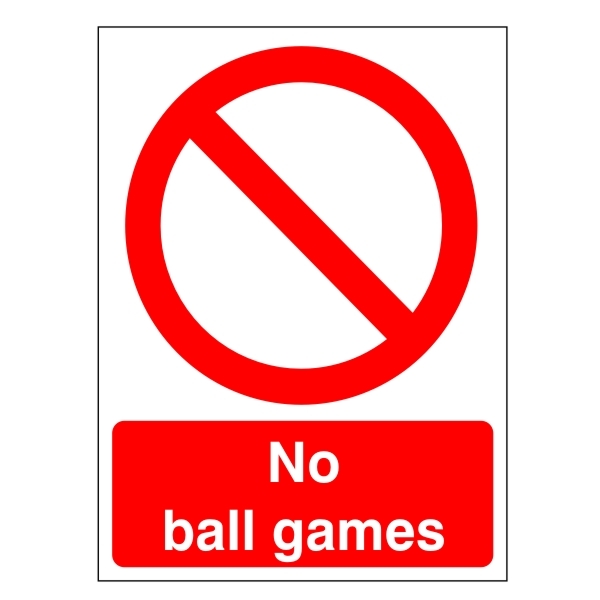 Notice that not allowed to and allowed to are not really opposites of each other. You are allowed to smoke in here. This means that if you wish to smoke you can. You aren’t obliged to smoke. This means that smoking is prohibited and if you do so, there will probably be consequences. Look at this sign. I am sure you have seen something similar on the roads in your country. Can you make some sentences about it using the words in the table above? Try to use words from all of the boxes in the table if you can. 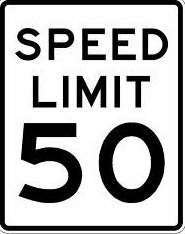 You must drive slower than 50 mph. You mustn’t drive faster than 50 mph. You can drive at speeds of up to 50 mph. You don’t have to worry about the police if you are driving under 50 mph. Can you say what these signs mean? Try to use words from more than one box in the table. Can you see what is wrong with this sentence? I have been there in 2010. The present perfect simple is never used with a specific time reference. In the above sentence, it would be correct to use the past simple instead beacause a specific time reference is used. I went there in 2010. Why are words so confusing? Read the following sentences. Can you work out what is wrong with them? Perhaps you can easily spot the errors and correct them but are you able to explain what the errors are? Giving this kind of explanation is good language practice : you have to be very precise and clear so that there is no doubt that you understand what the problem is. My English teacher gave me lots of good advise about the IELTS exam. Advise is a verb (to advise someone to do something = verb + object + infinitive) but a noun is needed in this sentence. We know this because advise is preceded by an adjective (good) so an adjective+noun combination is needed. This is an example of a confusing word : a word which has a similar meaning to another word but is used in a different way, is related to another word but has a different meaning or one which looks similar to another word but has a different meaning. The noun needed in this sentence is advice. Our English teacher advised us to have an early night before the IELTS exam. Can you give a complete explanation of why the following sentences are wrong? 1. Strong coffee doesn’t effect me at all. 2. There are strong economical arguments for having high taxation at the moment. 3. He was so busy to do his homework. 4. Do you think there is an opportunity of life on Mars? 5. I was standing besides the IELTS examiner. Think about your explanations. Do they make the errors clear? Have you given good examples of how to use the word used incorrectly? make sure that you note down these confusing words and try to use them correctly in your speaking and your writing. Why not post your explanations in the comments box? Other users can check them and decide if they are correct or not. Full explanations are here. 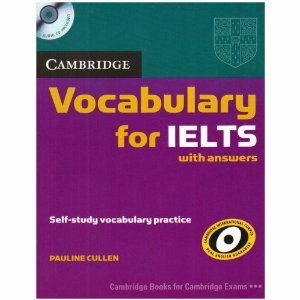 There is plenty of material in this book to help you to improve your vocabulary for the IELTS exam. It covers the main vocabulary areas that you need for the IELTS exam. Cambridge Vocabulary for IELTS includes useful tips on how to approach the IELTS exam tasks and covers especially tricky areas such as the language needed to describe data and processes.